PARIS - August 24, 2008: Renault is enriching its vehicle line-up in Mercosur with Renault Sandero Stepway, launched from October in Brazil and then in Argentina. The newcomer’s assertive styling is targeted at sophisticated urban customers looking for a vehicle that sets them apart. Renault Sandero Stepway boasts the same fundamental qualities of roominess and reliability as Renault Sandero, this last quality underscored by a three-year/100,000-km warranty in Brazil. 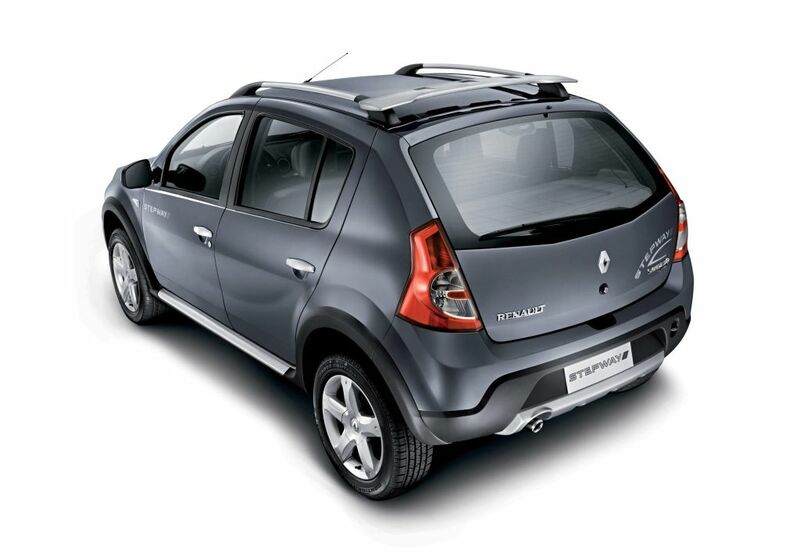 Manufactured at the Curitiba plant, Renault Sandero Stepway is the fifth of six models to be launched in Brazil as part of Renault Commitment 2009. Renault doubled its sales in Brazil between 2007 and 2008 with this strong product offensive. The brand now ranks among the top five best-selling manufacturers in the country. Renault programmed an Urban Sport variant of Renault Sandero right from the start of the design phase. 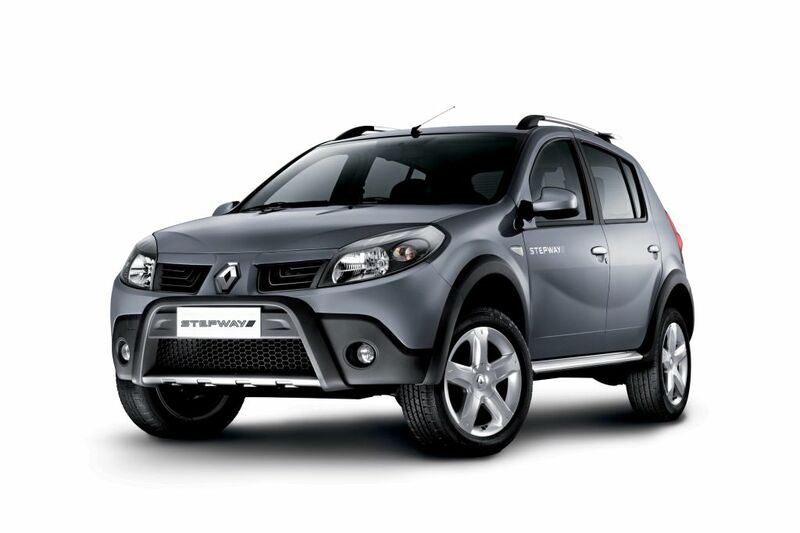 Developed primarily for the needs of the Brazilian market, Renault Sandero Stepway targets sophisticated urban customers looking for a vehicle with assertive and distinctive styling. The forceful personality of Renault Sandero Stepway is reflected in raised ground clearance, roof bars with an integrated spoiler, exclusive bumpers and grille, and a chrome-finished exhaust pipe. The high-set driver’s position makes for a stress-free urban drive, while driving pleasure is fully delivered by the only engine available on Sandero Stepway : the 112 hp 1.6 16V Hi-Flex, Renault’s most powerful bio-ethanol powerplant in Brazil. While Renault Sandero Stepway is a natural in the “urban jungle”, it also features all the fundamental qualities of Sandero, such as roominess and robustness. Renault Sandero Stepway has an immense cabin for the segment, seating five adults in complete comfort and boasting a 320-litre trunk. Build quality and robustness are underlined by a three-year/100,000-km warranty in Brazil. Renault Sandero Stepway is also set for launch in Argentina with a dCi engine. Built at the Curitiba plant, Renault Sandero Stepway is the fifth of six models to be launched in Brazil under Renault Commitment 2009. Renault is investing one billion reals (400 million euros) in Brazil as part of the plan. Driven by the product offensive kicked off in 2006 with Mégane Sedan and Mégane Grand Tour and continued by Logan in 2007 and Sandero in 2008, Renault do Brasil’s sales attained record levels in first-half 2008. It sold a total 58,800 units – twice as many as in first-half 2007. This 92.4% increase took Renault’s market share in Brazil from 3% to 4.4% in one year, placing the brand among the top five best-selling carmakers in the country. With sales of nearly 18,500 vehicles in first-half 2008, Renault Sandero has made a significant contribution to this success.